A rise in the satisfaction rate (96% of respondents say they are satisfied of very satisfied overall), France-IX Marseille appearing more and more attractive and a plebiscite in favour of the interconnection between Paris and Marseille: here are the main findings of this fruitful survey that we invite you to discover in our blog. 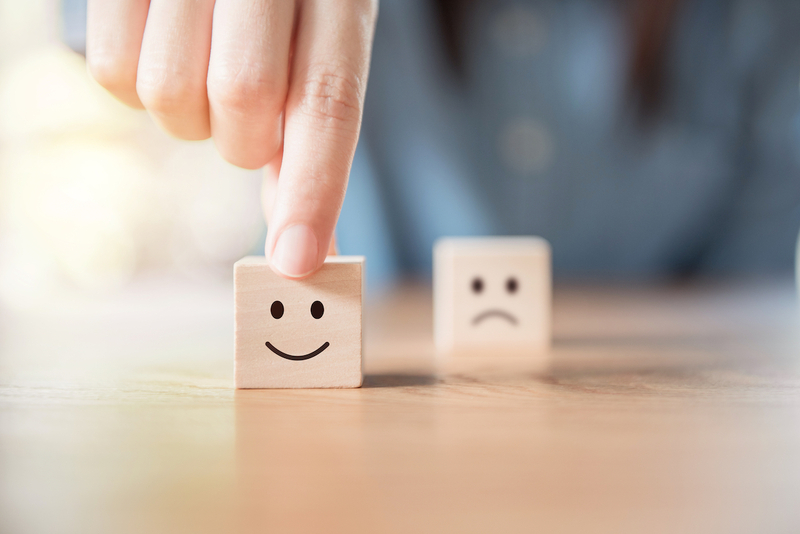 First, we were very pleased to reach the highest score ever on the “Overall Satisfaction” feature, with over 70% of very satisfied respondents (against 62% in our last survey in 2016*), 26% of satisfied and 3% neutral, with no occurrence at all for the dissatisfied or very dissatisfied rates. It is worth noting that a majority of our members (73%) use our dedicated customer portal “Tools” and widely spoke for the addition of a few features to the platform, the most voted ones being the possibility to see the technical details of the services (84%), to update their company contact details (68%) and to change/add/migrate their services (62%). All your thoughts are being considered as we are currently developing a brand new version of Tools, which should be available during 2019. 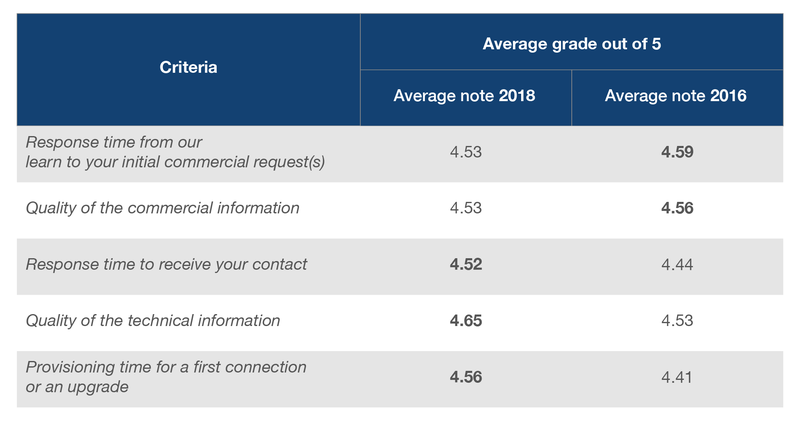 Comments on our prices, asking for more innovative and affordable commercial offers, have been taken into account, as you may have already seen in our 2019 price update. In addition to a global decrease (for the 5th consecutive year), we decided to align the prices in Paris and Marseille at the same level, meeting a growing demand from our members, and to replace the free 100Mbps offer with a free 200Mbps offer. We launched the most affordable 100Gbps offer in Europe with subscription starting at 20Gbps or 40Gbps. All of these are good examples of how your opinion is valued in our evolution process. 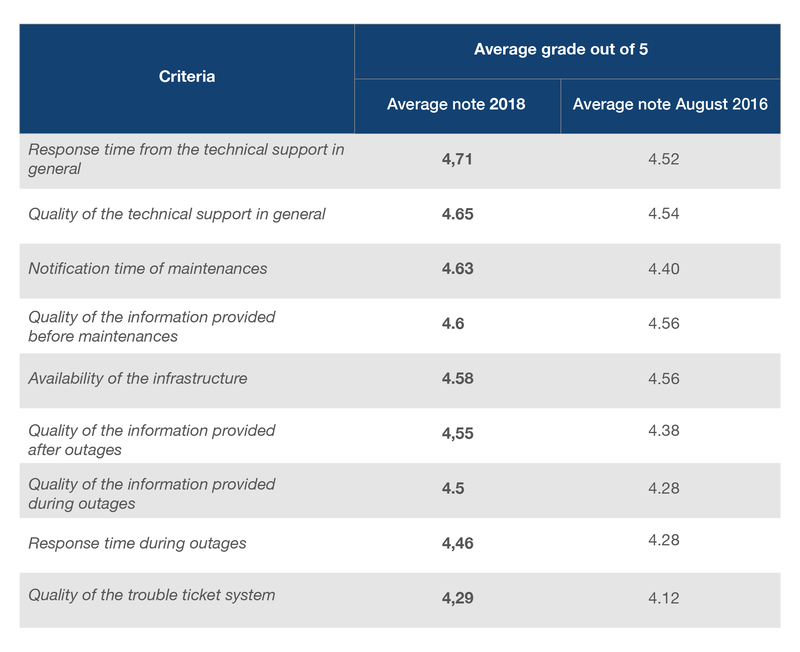 On another note, our website appears to be key in your decision-making approach, as 86% of you say they have visited www.franceix.net before a connection or upgrade request. Updating the information and improving the navigation will be among our next priorities to offer you a better user experience and enable you to find in a few clicks the information needed. 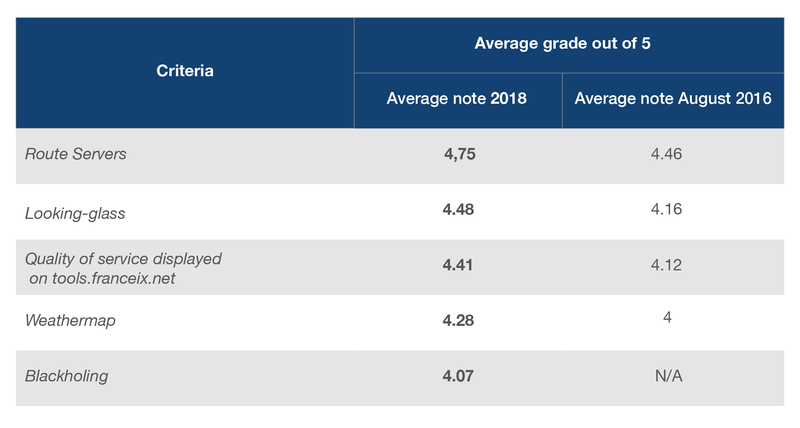 France-IX’s communication efforts both towards its members and external parties are widely welcome, with a majority of satisfied and very satisfied opinions and rates of 4.28 and 4.04 out of 5, respectively. We hope to continue to please you in this regard and offer you the most transparent information possible. 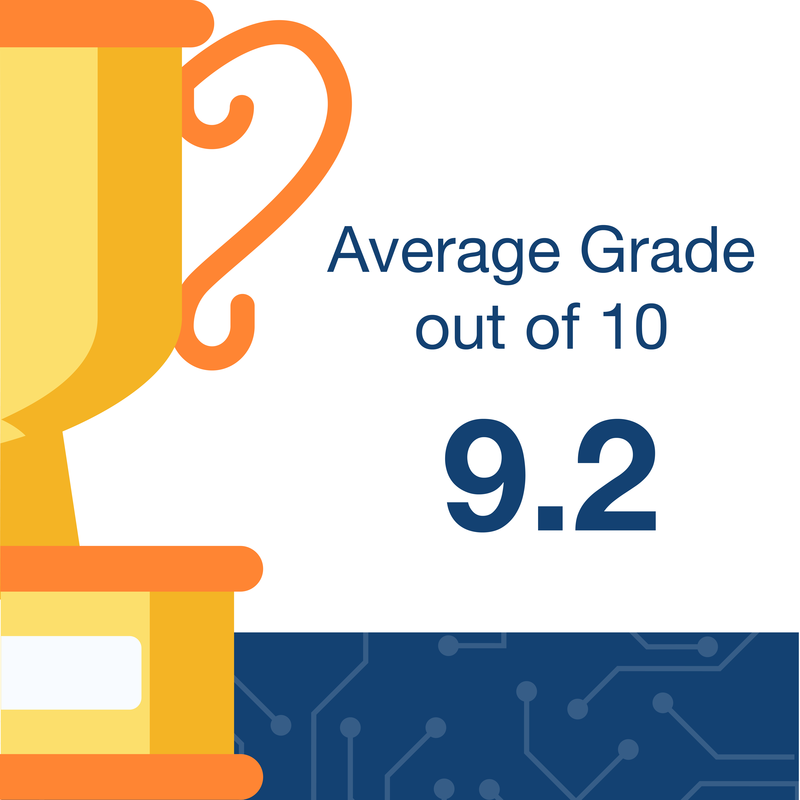 Moreover, many of you are ready to recommend France-IX to your network with an increasing grade of 9.2 out of 10 (compared to 9.03 in 2016). This represents an incredible proof of trust from our members for which we are very grateful. 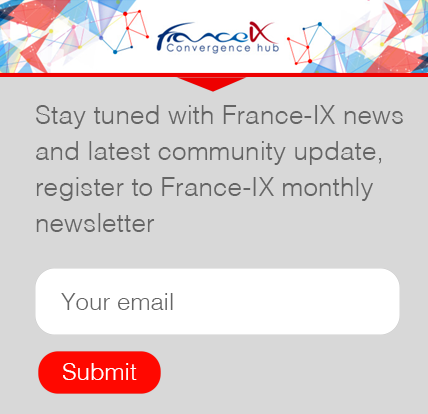 To the question: “Are there any networks you would like to reach who are not connected yet to France-IX?”, although a majority was satisfied with the existing possibilities (66%) some of you highlighted a few interesting names, which are now in our prospect list. Wish us luck so you can peer quite soon with them! Last but not least, one major decision was taken as a direct consequence of the survey: the interconnection between Paris and Marseille was widely welcomed by our members and we decided to move in this direction. A dedicated offer with a gateway between the two cities is being shaped and you will know more about it in the next few weeks. The next survey from France-IX is scheduled before summer. If you have any comment, please do not hesitate to contact us in the meantime, we are always eager to hear what you have to say!